Introduction. Analysis of canine lipoprotein fractions after agarose gel electrophoresis (agEF) separation could be an important diagnostic tool in primary and secondary dyslipidemia diagnosis. 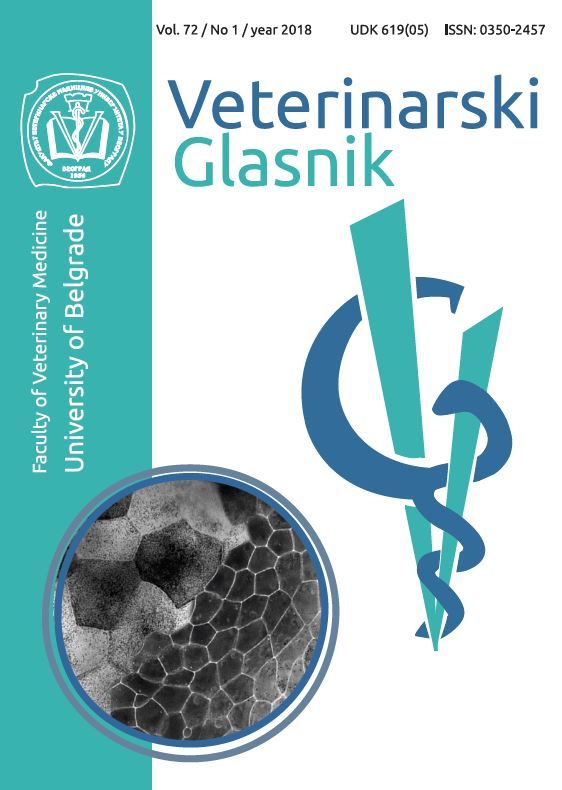 The aim of this study was to measure concentrations of triglycerides and cholesterol and to analyze lipoprotein fractions in dogs after basal (12 hours) and short-term (24 and 36 hours) fasting, i.e., frequent conditions in clinical practice. Materials and Methods. Blood samples were collected from six lean dogs of both sexes and different breeds, after 12, 24 and 36 hours of fasting. Concentrations of glucose, triglycerides and cholesterol were determined on an automated wet biochemistry analyzer, lipoprotein fractions were separated by agEF and leukocyte numbers were assessed on an automated hematology analyzer. (LDL) have preβ- and β-mobility. Thus, it is possible that reverse cholesterol transport maintained by HDL is not affected during short-term fasting. On the contrary, synthesis of VLDL and formation of LDL are probably decreased because endogenous synthesis of triglycerides is decreased or their clearance is increased. Authors retain copyright of the published papers and grant to the publisher the right to publish the article, to be cited as its original publisher in case of reuse, and to distribute it in all forms and media. Articles will be distributed under the Creative Commons Attribution International License (CC BY 4.0). de Bruijne, J. J., Altszuler, N., Hampshire, J., Visser, T. J., & Hacking, W. H. 1981. Fat mobilization and plasma hormone levels in fasted dogs. Metabolism, 30: 190-194.
Zimmer F, Riebeling V, Benke B, Schuster J, Roskamm H. 1980. The LDL-HDL ratio in patients with coronary arteriosclerosis (author’s transl). Z Kardiol. 69: 149-53.